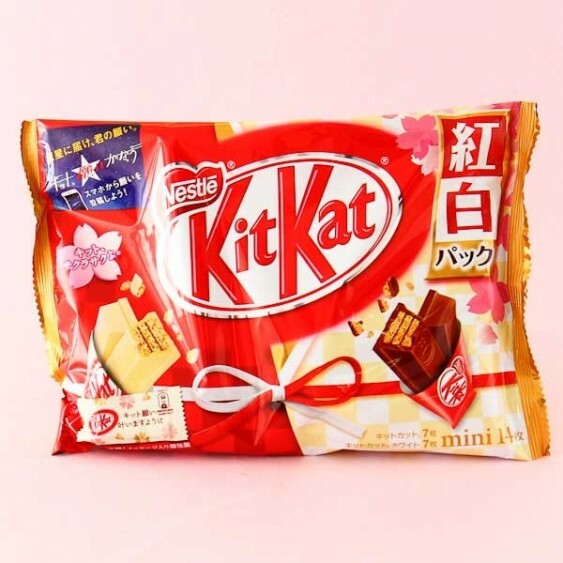 Japanese Kit Kat is famous for having new and exciting flavors for their traditional chocolate bars. 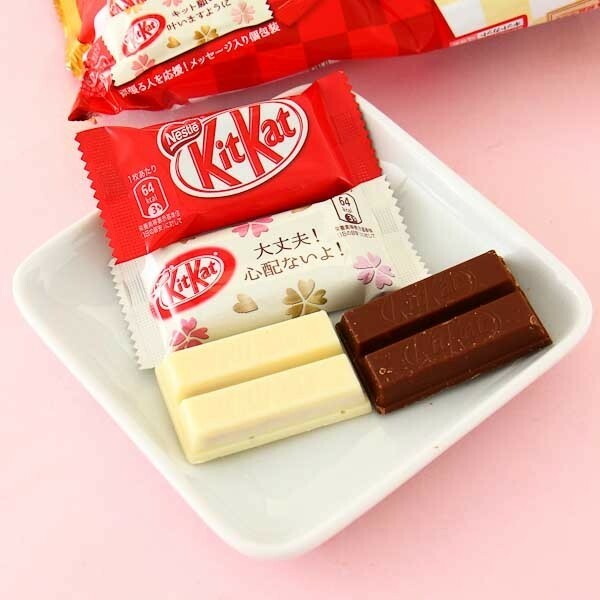 This pack includes both the yummy traditional milk chocolate and delicious white chocolate Kit Kats! The crunchy wafer biscuits are covered with either milk chocolate or white chocolate, and there is enough for everyone! Each jumbo pack includes 7 milk and 7 white chocolate Kit Kat mini bars, and every white chocolate Kit Kat in this spring edition package has a special message on it for your family and friends!